The Nando Peretti Foundation is co-financing the construction of a Foster House for people with very serious disabilities. This project aims at meeting the huge demand of welcoming by the families of the disabled people, for their children, thinking of when they will no longer be able to assist them. It therefore belongs to those initiatives imagined for the "After us" situation. 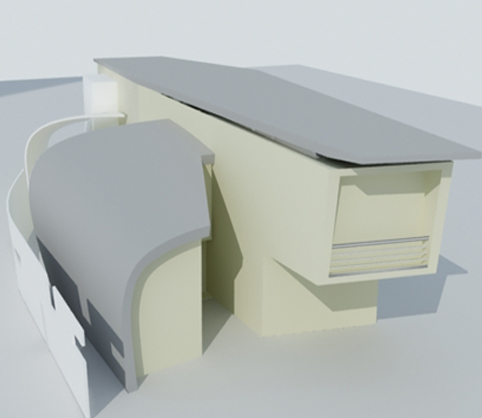 The house will be a prototype and an example for the territory, both as model of efficiency and organisation. It could rely on the activities that C.O.E.S Onlus carries out with these disabled people since 1963, both because the newly built house has been designed according the best functional criteria for this end and according to the modern principles of bio-architecture. The house will host 8 patients, 2 emergency situations and a sufficient number of operators according to current regulations. Somehow this house will be at the beginning a continuation of the activities already carried out with these children in the C.O.E.S daily centre. The Foster House project will aim at giving a concrete answer to families with disabled members, and will provide parents with an external support on which to rely in case of their temporary impossibility or death. The construction of the House will be carried out over a period of 12 months; presently, the reinforced-concrete structures of the building have been realised. The house will remain operative for all future years to meet the demand of families with disabled members followed by C.O.E.S The Foster House is located on Via Furlan, in Colle dei Pini district, along the Via Anguillarese in the territory of the municipality of Rome. 3) to establish relations with public and private associations having the same purposes.